A diagnosis of cancer opens up countless questions about care options, who to contact and where to start. Here are some answers to Frequently Asked Questions (FAQs) about cancer care at Ellis Medicine. Talk to your doctor or contact Ellis for more information. Q: Are there symptoms of cancer? A: There are many different types of cancer and each has its own set of signs and symptoms. Some forms of cancer, such as colon cancer, carry few signs making regular screening extremely important. Q: Is there a cure for cancer? A: There is not a single cure for cancer, but there are many effective treatments for the various forms of cancer that often serve to eradicate cancer from a person and keep it from returning. Early detection is the key to effectively treating cancer. Additionally, there are many promising clinical trials and research studies ongoing around the world aimed at finding a cure for cancer. Q: What kind of cancer treatments are available? A: Cancer can be treated in a number of different ways depending on its type, size, location and stage. 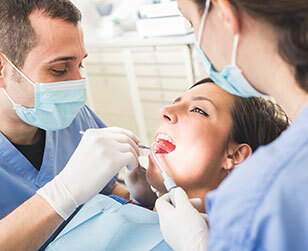 Surgery, radiation therapy and chemotherapy/drugs are the most common treatments. Treatment options are planned based on testing such as medical imaging of the tumor and/or blood testing. Talk with your doctor about the best course of treatment for you, and get a second opinion to ensure you are making informed decisions about your care that you are comfortable with. Q: If the diagnosis is cancer, what should I do next? A: A cancer diagnosis brings with it a myriad of emotions and questions. We recommend bringing someone with you when having discussions with your doctor so that you can have help remembering and sorting through the information. This is a stressful and emotional time so having someone with you is important. Make sure you understand the type of cancer, stage and location of the cancer in your body. Never hesitate to call your doctor/cancer care team to ask questions, advice or for support. 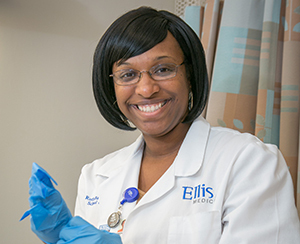 At Ellis Medicine, we have a breast care nurse navigator who steps in to help when the diagnosis is breast cancer. We also have experienced cancer experts and caregivers who are available to guide and support you, whatever your cancer diagnosis. Consider getting a second opinion, especially if you are not sure what treatment option is right for you and to ensure you are making an informed health care decision you are comfortable with. Treatment is your decision. 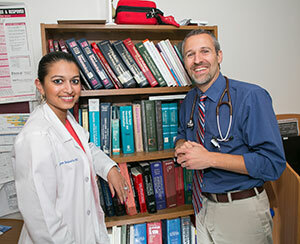 Q: When should I see an oncologist or other cancer specialist? For more information about cancer care at Ellis Medicine, please call 518.243.4317.